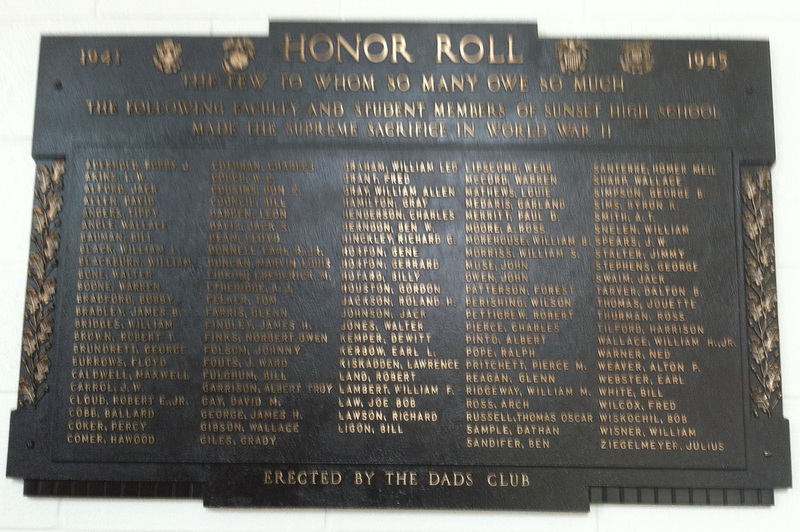 The World War II memorial plaque was created to honor those former Sunset students and faculty who fought and died in that war and was dedicated by the Dad's Club in 1956. During a renovation, it was taken down and put in storage and never rehung. In 2007, it was located sitting on the floor, dirty and with paint splatters on it--certainly not treated with the honor it deserves. 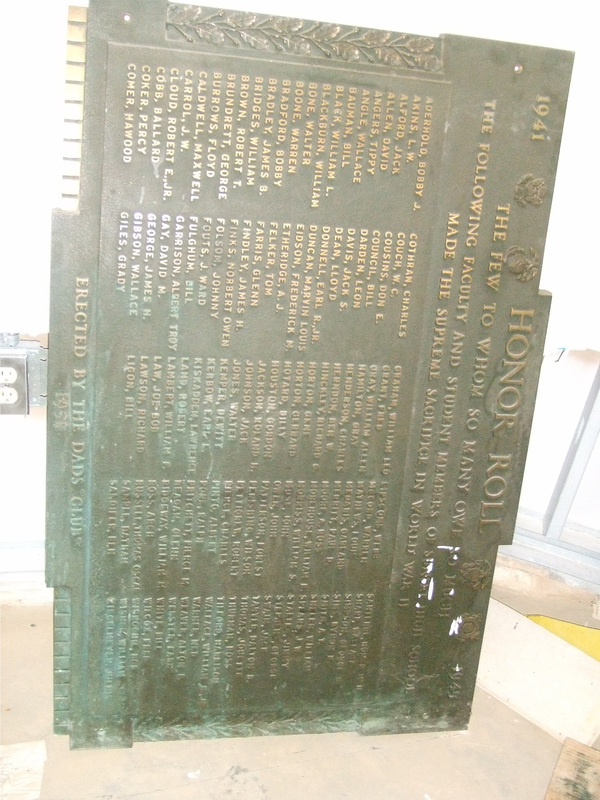 Your alumni association raised funds to have the heavy bronze plaque cleaned, restored and re-hung to its proper place for all Bisons to remember their sacrifice and to never forget.